There are many sources of funding available to help you finance your tutoring business. One of the main benefits of Tutor Doctor's franchise model is that it is a low investment, home-based franchise business. You will not need to worry about extraneous costs for a building, equipment, fixtures, signs, inventory and leasehold improvements like you would for center-based tutoring businesses. Just the same, there are the requirements of having a "pillow" of working capital on top of the franchise fee to properly guide the business through its startup stages. Tutor Doctor works with GUIDANT FINANCIAL to assist and support those looking for help with financing their Tutor Doctor franchise business. GUIDANT FINANCIAL - GIVE THEM A TRY! Take five minutes to discover what types of business financing you may be eligible to receive. 6. Don't weigh down your loan application with attached documents. 7. Don't exhaust your liquidity by paying off outstanding debts before filing a loan application. Lenders want you to have capital available. 12. Let your fingers do the walking on the internet before wasting time, energy, gas and phone calls. You'll find useful information. Some sites even allow you to file loan applications online. 13. Don't overlook angel investors and venture capitalists. And, finally, it is worth giving us a call and having a quick discussion with one of our Franchise Directors. 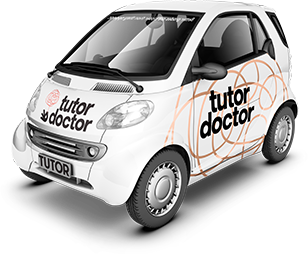 Tutor Doctor has been known to offer favorable financing on an individual basis. It is worth giving us a call!